Sweet Cheeks Adventures: Max and Ruby: Sharing & Caring on DVD June 2nd! 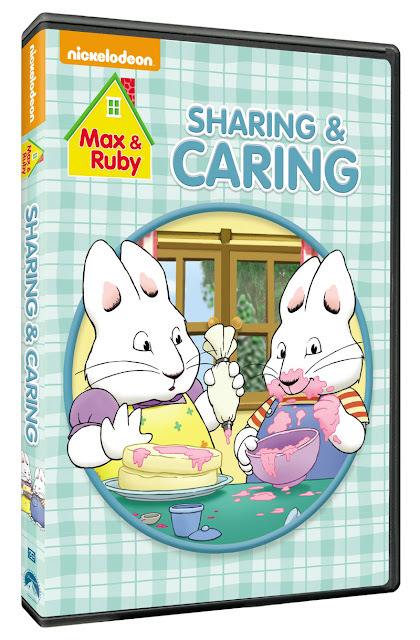 Max and Ruby: Sharing & Caring on DVD June 2nd! Max and Ruby : Sharing & Caring has come at the best time! Summer is coming and I have two children who can't seem to master the art of sharing. Mastering the art of sharing will probably not be achieved in the longest months of 2015, but this will remain a goal. With the help of Max and Ruby, maybe this Mom can stay a little more sane than previously possible! Max and Ruby : Sharing & Caring is loaded with great episodes! Ruby's Real Tea Party, Detective Ruby, and A Toy For Baby Huffington are among Ally's favorite episodes, so I was very happy to see them as part of this collection! We've had in the player at least once every day for the last week. I wish Cooper would pick up on the Sharing & Caring part! Pick up your copy on Tuesday, June 2nd! It's a great addition to any DVD collection! Dates: Starts May 30, 2015 6:00 pm EST. Winner will be chosen June 11, 2015 11:59 pm EST. We buy games that takes more than one person to play, so they learn to share this way. Movie also purchased they can share. 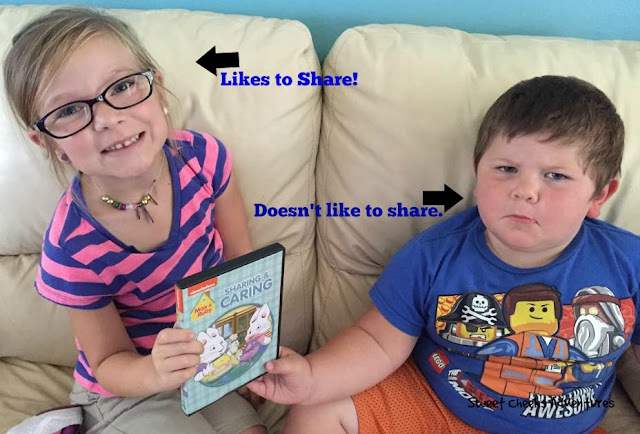 I teach them to share by setting an example, by modeling the behavior I want them to copy. I told them if they share someone else will share with them.